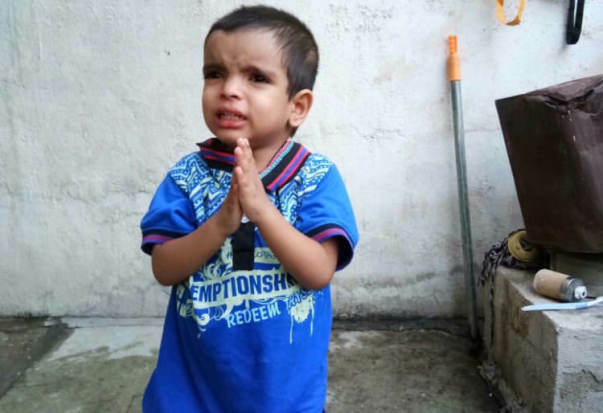 Swaroop is a 3-year-old with a metabolic disorder. This means he is unable to convert food to energy and his body turns inwards, digesting his body protein to make up for it. 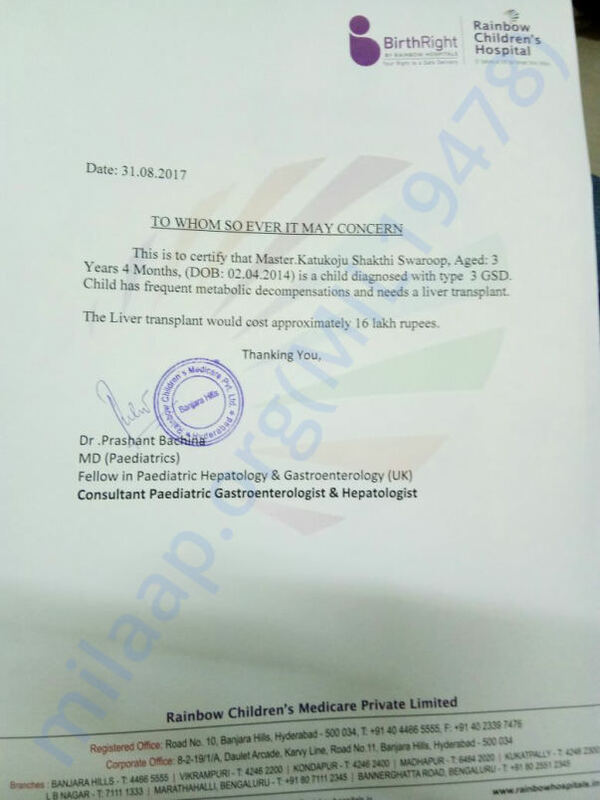 This is a painful, deadly condition and the only cure for Baby Swaroop to get a liver transplant. To Sarla and Satyam, Swaroop was their dearest wish come true. His birth was a very happy occasion “We really wanted a child to love and bring up. He was born 6 years after we got married – when we had almost given up hope,” says Satyam. For a whole year after he was born, Sarla and Satyam felt like their world was perfect. Satyam had worked over 12 years as a goldsmith worker in Warrangal. His supervisor trusted him and he had regular work – which meant a monthly income to take care of his wife and child. But after that first year, Swaroop's health took a downturn. He became sick, unable to keep his food down. Slowly, this family's happiness turned to sorrow and despair. 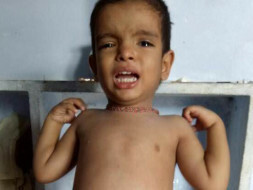 They took Swaroop to doctors near their home in Warrangal, but no one could properly diagnose his condition correctly. Eventually, they decided to come to Hyderabad for better treatment. Here, they were told that the only cure for Swaroop was a liver transplant. Their hope and relief at an answer was short-lived because the procedure is far beyong Satyam's limited means. “Doctors say he needs a liver transplant. But everywhere we go, they ask for 25 lakhs. Even if I work my whole life, I won't earn that much. How will I get this much money? It is a price for our son's life we can't afford,” Satyam says. 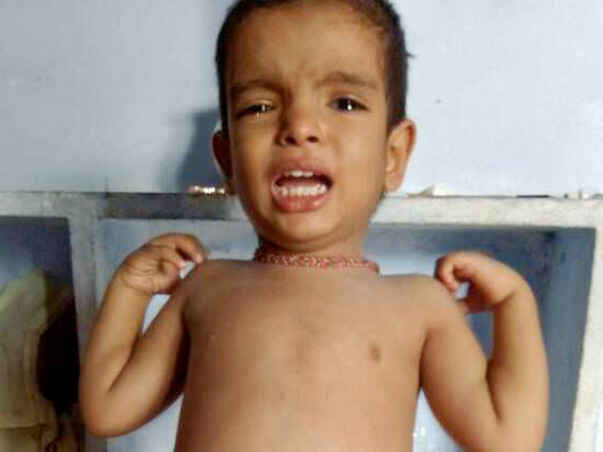 Swaroop is growing, but his body is unable to sustain it because it does not get nutrition. He is saying his first words – asking for water, or to be carried. But when he walks, he needs to sit down after some time. The high energy of children his age is not a gift he has been given. Watching their baby suffer over the last 2 years has not only emotionally drained Satyam and Sarla but also affected their own health. They also suffer regularly from weakness and fever from skipping meals and exhaustion due to travel. Only the thought that their son needs them keeps them going. Satyam and Sarla together earn Rs 11,000 per month. Satyam works under a goldsmith and Sarla takes on small tailoring orders. 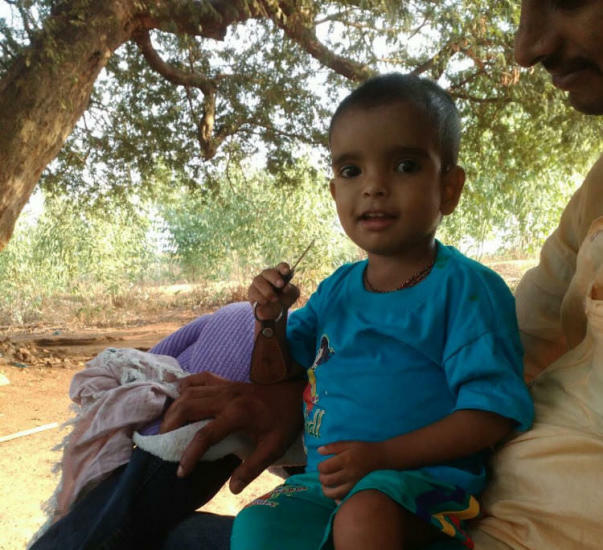 They have sold off all small possessions to make sure they take Swaroop to the hospital whenever he becomes sick. 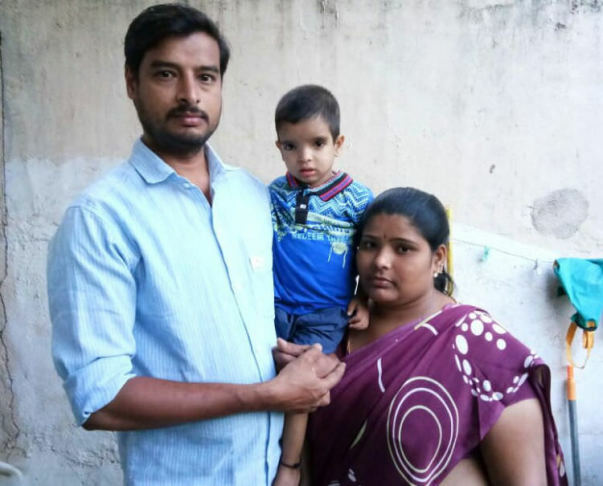 Satyam has borrowed from his employer too, to keep his son alive. These parents will lose their child if he doesn't get the transplant he needs in time. Your contribution will help two very desperate people find hope in their bleakest moments. Swaroop is doing well. Swaroop is recovering and is discharged from the hospital. He is stable and is advised to come for regular check ups to the hospital. Thank you for the love and support shown towards Swaroop. He is currently being treated for the complications in his intestines. He had a surgery in which the intestines were placed outside his abdominal cavity. After 6-8 weeks he needs to undergo another surgery to place the intestines back in position. We are hopeful he will have no more complications from the treatment. Please keep Swaroop in your prayers! Swaroop is doing well and is discharged from the hospital. Swaroop is recovering slowly and is responding to the treatment.